Hi everyone, hope you are all doing well – since it’s officially the end of summer and we are transitioning into the Fall season, I figured the best way to cast off the summer of 2014 was with a bright, fun, sunshine yellow 🙂 I will be reviewing fall polishes/shades from this point on on my blog but I shall be secretly enjoying a bright neon on my toes all throughout Fall & Winter as I usually do – I can’t be the only one right ladies? 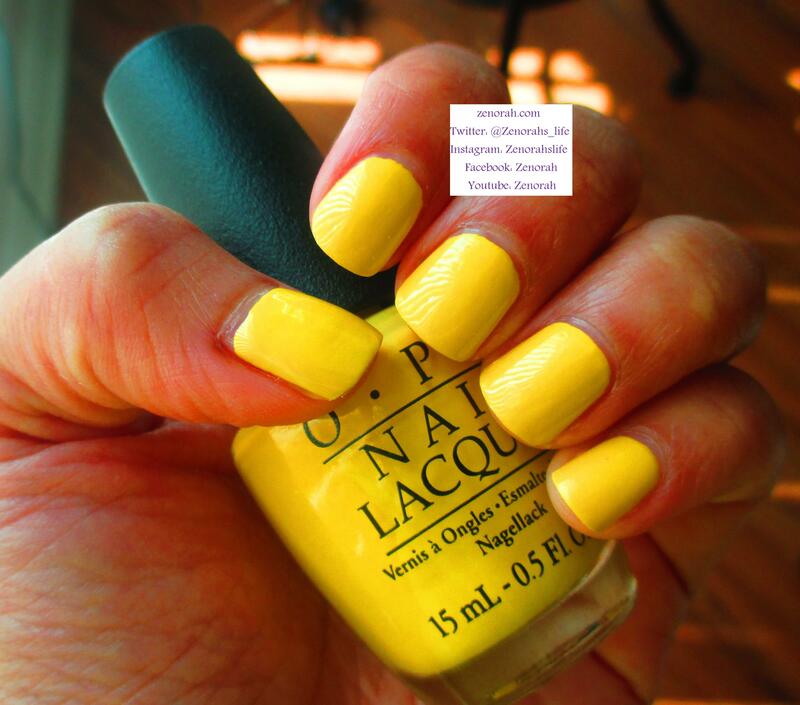 OPI “I Just Can’t Cope-acabana” – is a bright, sunshine yellow cream polish that was released in OPI’s Spring 2014 Brazil Collection. It’s really hard to pick a favourite out of that collection and I have no idea how I resisted from buying the entire collection but this is definitely a MUST HAVE. I might have to go back and pick up a few more! It was opaque on two coats, had a very smooth, buttery formula, dried within 10-15 mins and had a glossy finish. I love yellow polish it’s sort of a weakness of mine but 9/10 times I have been disappointed in either the formula or colour however THIS POLISH is simple perfection. Dare I say it, it’s even better than my beloved Zoya Pippa!!! You know I gotta love this if I rank higher than Zoya’s Pippa – I honestly have zero complaints about polish. There isn’t much to say other than, GET IT before it’s super limited edition and hard to find. It’s the BEST yellow polish you will own in your collection and it’s such a good staple for all you ladies than enjoy nail art!! I regret not wearing it sooner but better late than never and it was the perfect way to cap off the summer of 2014! Do you own OPI “I Just Can’t Cope-acabana”? What are your thoughts on this polish? 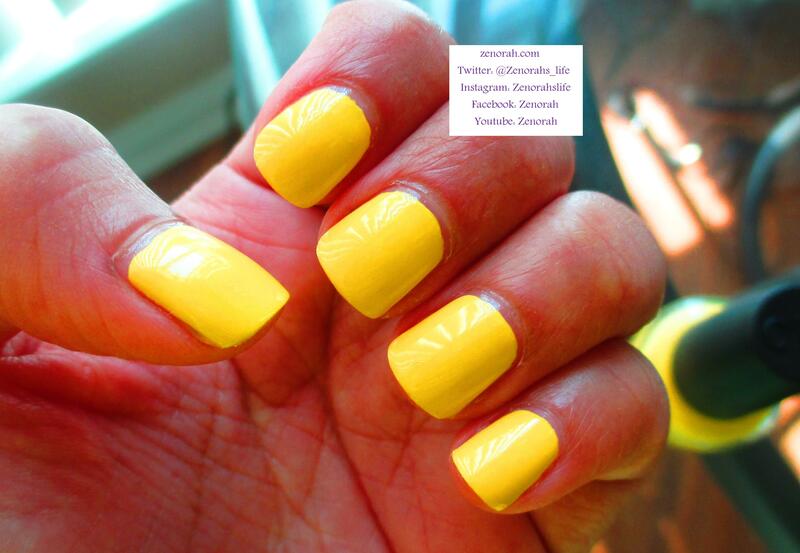 I have this polish aswell and it is the best yellow i ever tried !